How many Large Baskets are included in the Carrier 30 Cart? Six (6) 5-slot Large Baskets by PC Locs. What colour Baskets will I receive with the Carrier 30 Cart? Two Green, two Blue and two Red. Will my devices fit in the Carrier 30 Cart? There is a simple template that you can download in the section below to determine whether or not your devices will fit. The template allows you to measure your device to the Carry Basket. All you have to do is download the file, print it to scale on an A3 size paper and place your device within the guide to see if it fits. Instructions are included on the template. For further information or help, contact us. My devices do not fit in the Baskets. What can I do? So your device is too big? We have you covered. You can purchase a Stainless Steel Device Rack set that replaces the Large Baskets and allows larger devices to fit in the Carrier 30 Cart. There is a simple template below that you can use to determine whether your device will fit inside the Stainless Steel Device Racks. For further information or help, contact us. Are there an special power requirements for the Carrier 30 Cart since they charge so many devices? No, just a regular Power Outlet. 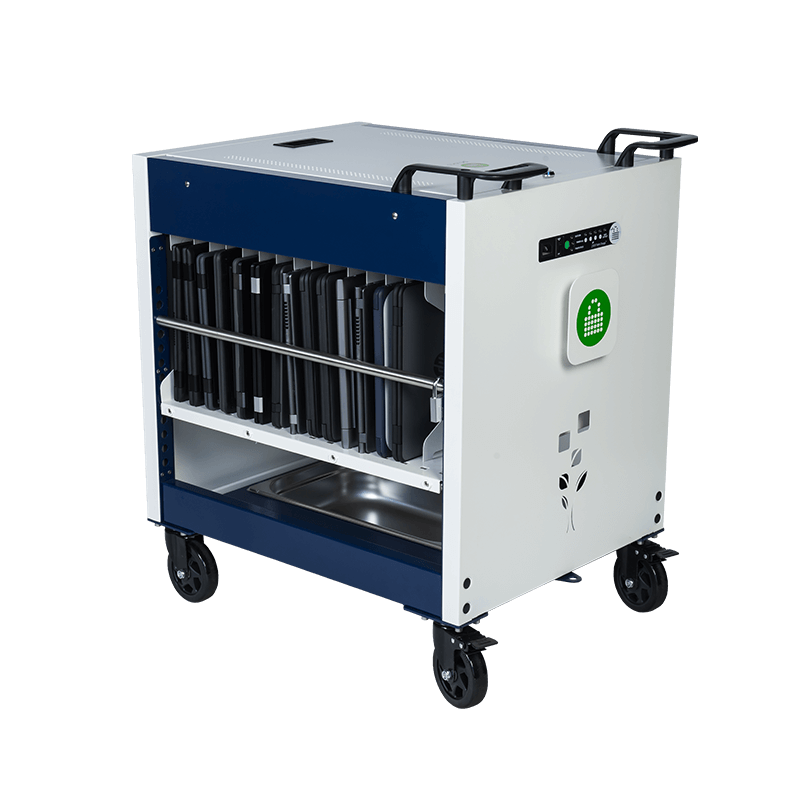 The Carrier 30 Cart is equipped with ECO Safe Charge power board for safe and efficient charging. The power board stages the availability of power to each bank of devices. Can I purchase additional Large Baskets? I now require syncing functionality on my Carrier 30 Cart. What can I do? 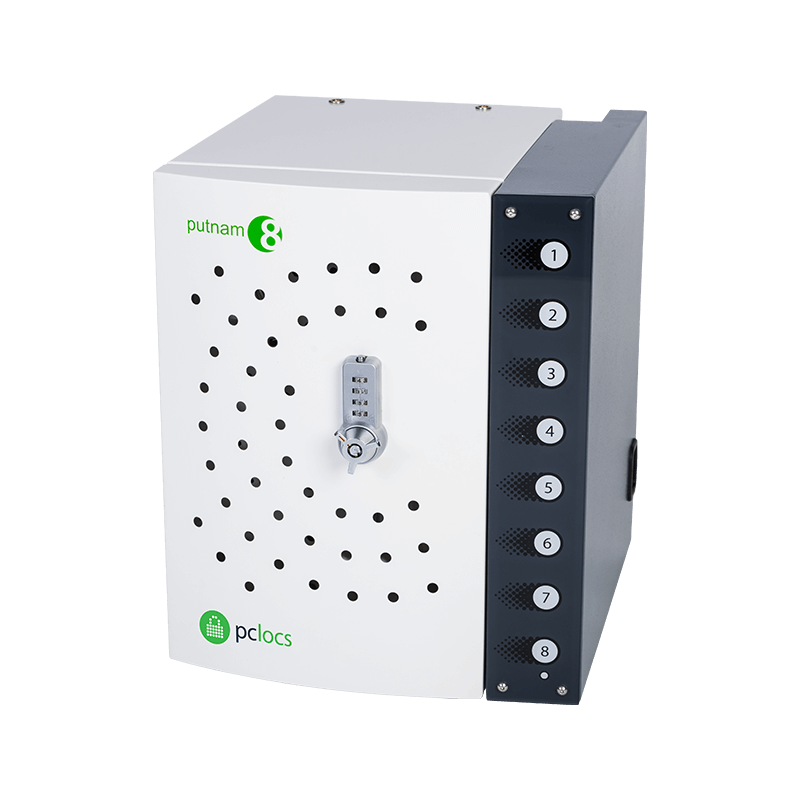 PC Locs products are designed to be modular. You have the option to purchase the iQ 16 Sync Charge Boxes for syncing and charging functionality. Contact us for details. PC Locs products are easy to set up. Download the the Quick Start Guide to get started. 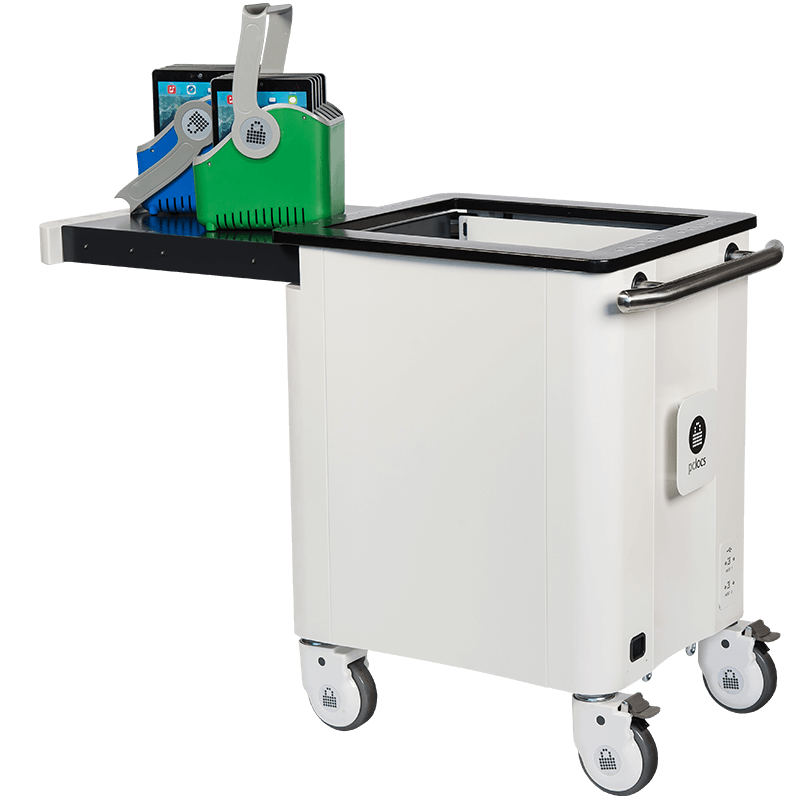 The Carrier 30 Cart is equipped with six (6) 5-slot Large Baskets by PC Locs. They are designed specifically for Chromebooks, but can also hold a whole range of other devices too – and there are lots of them. To make it easier for you to identify what fits and what doesn've created a simple template. For further assistance please contact us. If your device doesn't fit inside the Carry Basket, you can replace them with the Stainless Steel Device Racks, which are designed for larger devices. Download this simple template to identify whether or not your device will fit inside the Stainless Steel Device Rack slots. For further assistance please contact us. Download the instructions to learn how to use and setup your ECO Safe Charge. Instructions for your Carrier 30 Cart's combination padlock. This video demonstrates how to setup the Carrier 30 Cart for the first time after unpacking. For more details refer to the downloadable PDF instruction manual. 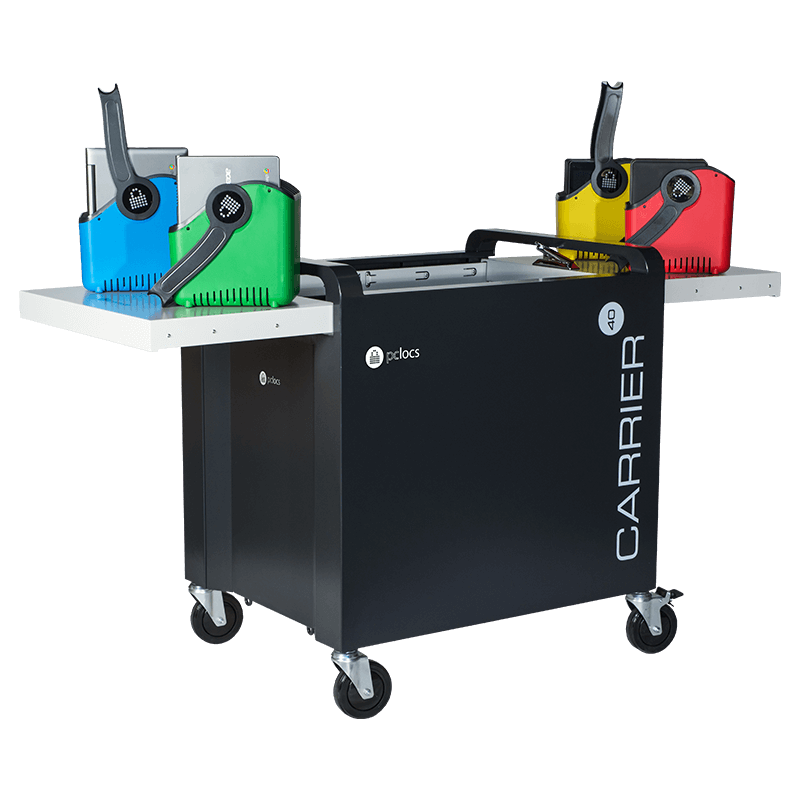 Short video guide on how to install your Carrier 30 Cart or Carrier 40 Cart Coated Racks for your devices. Learn how to setup and use the ECO Safe Charge Power Management System in your Carrier 30 Cart. Short video guide on how to install your Carrier 30 Cart or Carrier 40 Cart Stainless Steel Wire Racks for your devices. Learn how to setup and use the Eco Safe Charge Power Management System in your Cart.